For the fifth year in a row, Ohio voters rejected a Pennsylvania-based Community Environmental Legal Defense Fund’s (CELDF) anti-fracking local ballot measure on Election Day. As the Toledo Blade reported, Ohio’s only local ballot measure this year, the Bowling Green Community Rights Charter Amendment — which was designed to block a pipeline route — wasn’t even close, with 61 percent of voters rejecting it. Bowling Green represents CELDF’s 29th loss out of 34 attempts to pass local measures in the Buckeye State since 2012. CELDF’s numerous attempts to get these ballot measures passed have repeatedly placed significant financial burdens on the communities the group has targeted. For instance, CELDF’s efforts in Youngstown have cost taxpayers more than $187,000. Despite these groups’ best efforts, these ballot measures have continued to fail all over the state, as the following chart clearly shows. 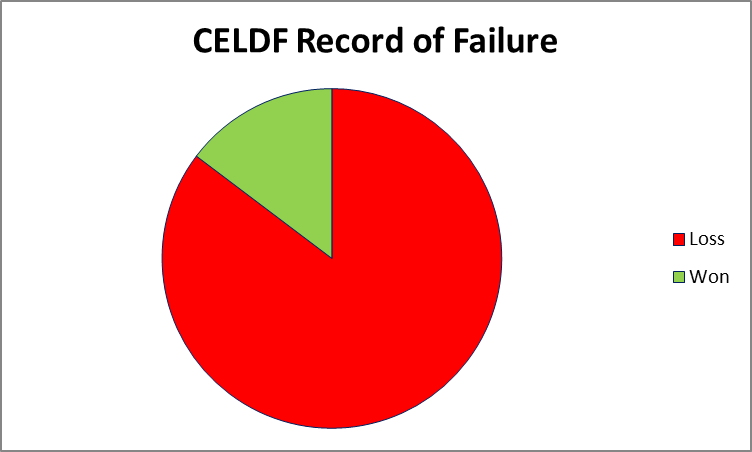 CELDF’s has suffered numerous legal setbacks as well, with courts ruling (literally) over and over that the local ballot language is preempted by state law. Even the Ohio Supreme Court has also weighed in on several occasions. Here’s a list of all the failures that these campaigns have had over the years. But, it’s clear from the chart above that democracy has shown that voters reject these efforts. Wouldn’t five years of voters saying “no” be evidence enough that the “decision of the community” has been made?